All employees have a personal compartment where they can store keys, mobile phones and other valuables during their shift. For shops and chains that have many employees on different shifts, we recommend the Creone ValueBox 7006. 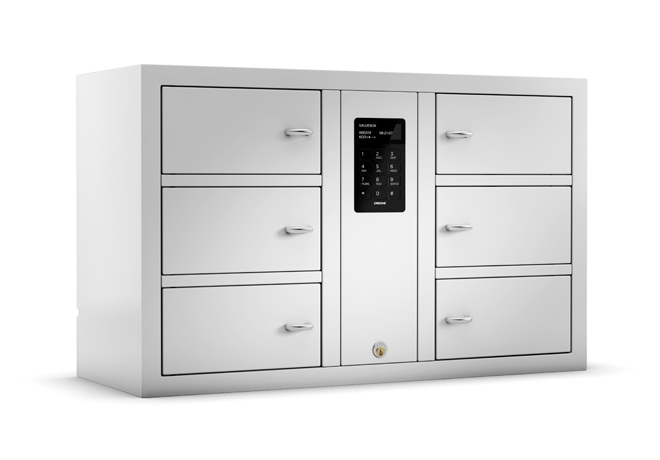 A secure storage solution offers a value box and staff locker in one. Your employees can lock up their valuables securely during their working day and know that they are the only people with key access.